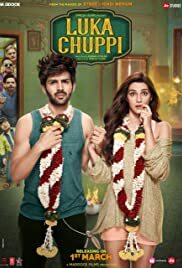 Story:- "Luka Chuppi" is the story of Guddu a television reporter in Mathura, who falls in love with a headstrong woman Rashmi. Guddu proposes marriage and Rashmi suggests Live In. What happens when they decide to live in, but the whole traditional family joins in too? That's what Guddu and Rashmi are going to find out, in this Romantic comedy film.